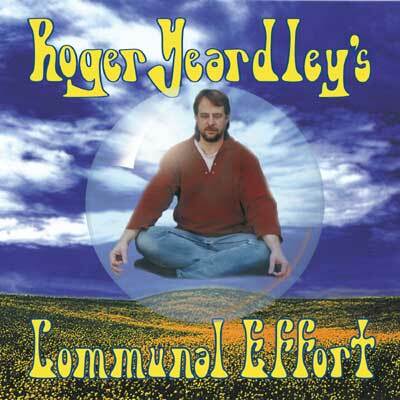 International Radio play - Roger has enjoyed worldwide airplay. His songs have been on the airwaves throughout Europe as well as countries such as New Zealand, Australia, China, and Taiwan. Roger’s music has shared playlists around the world with hundreds of American music stars: Johnny Cash, B.B. King, The Dixie Chicks, Neil Diamond, the Eagles, Willie Nelson, Garth Brooks, and Dwight Yaokum just to name a few. 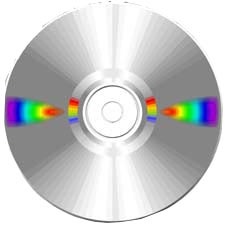 A quick search on the internet using Roger’s name will reveal his music on music sites in the U.S., Germany, New Zealand, Yugoslavia, Japan, and Latin America. (see BIO for more, including review excerpts). Movie and TV music - Roger's song "Rise and Fall of the Blues" was used in major motion picture - "Texas Chainsaw Massacre: The Beginning". Two of Roger's songs were chosen for the movie, "Mr. Id". featuring Amy Dolenz (daughter of Monkee Micky Dolenz). The song "This Space Reserved" was featured on the Music Choice TV channel. Roger has deals with music libraries to shop his music to movies and TV: One Music (headquarters in Nashville and L.A.) chose his 'Sheepless' CD to represent from hundreds submitted. Essential Music is shopping his music to TV, as well as Transition Music (one song deal for 'Rise & Fall of the Blues"), and the Q Music Group (several songs from the Communal Effort CD). Recording – Roger has recorded and co-produced (with producer Marcos Sastre) 3 CDs of original music that feature many world-class Cincinnati musicians - "Sheepless In Cincinnati" and "Communal Effort". 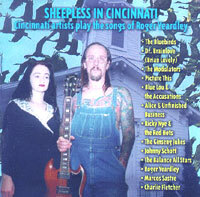 The "Sheepless" CD was a new concept, featuring many local groups interpreting his music. It has been said that he "pioneered the idea locally" (Rick Bird, Cinti. Post) of this unique type of local music project. He has also recorded several single cuts that have been featured on the international compilation series "Greatest Indie Artists in the World". 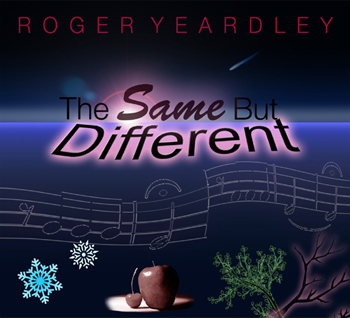 The 3rd CD, "The Same But Different" recorded in Cincinnati and Nashville, was released in 2013. "fun new compilation" "[as a] tribute to Cincinnati's musical eclecticism... the record is a success"
If you'd like to get on the email mailing list and be informed of/ reminded of upcoming performances, send us an email here and we'd be glad to add you to the mailing list.